Sanam Singing ‘Saiyaan’ Will Steal Your Heart! Remember the song “Saiyaan” by Kailash Kher? I came out in the year 2007, but we still get goosebumps everytime we listen to it. Especially when the line “tu jo chu le pyar se, araam se, mar jau…” comes on, our hearts melt a bit. The very talented band “Sanam” covered the song and we’ve giving away our hearts to them. There’s no doubt that they are talented and with every new song, they steal our hearts all over again! 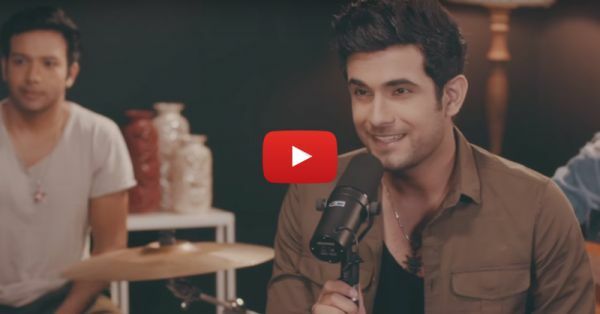 Sanam Puri - the guy behind the magical vocals - has such a melodious voice, we just wish our boyfriends could sing to us like that. You’re still waiting for us to stop praising them? Well, we can go on an on. You go and watch them perform our favourite song… <3 Also read: Sanam’s Beautiful New Song Will Make Your Heart Skip A Beat!